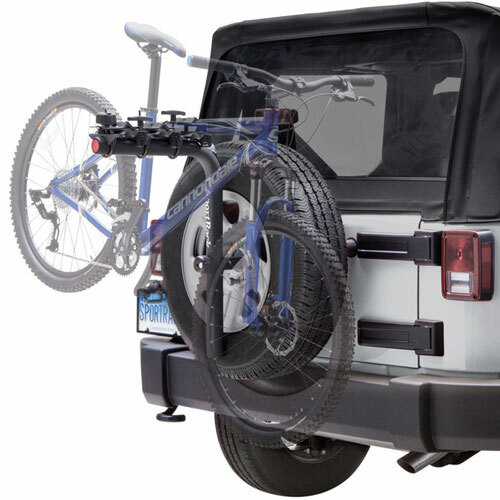 The SportRack Pathway Spare Tire Deluxe 3 sr2813b 3 Bike Spare Tire Mounted Bicycle Rack is specifically designed for carrying 3 bikes on a vehicle with a rear mounted spare tire. 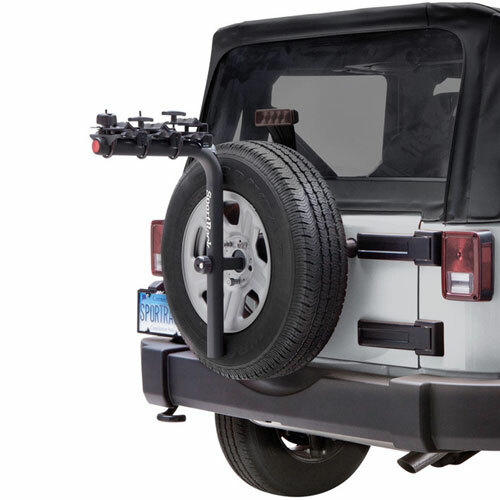 The Spare Tire Deluxe's mounting plate attaches directly to your spare tire's lug bolts for a secure, snug fit. 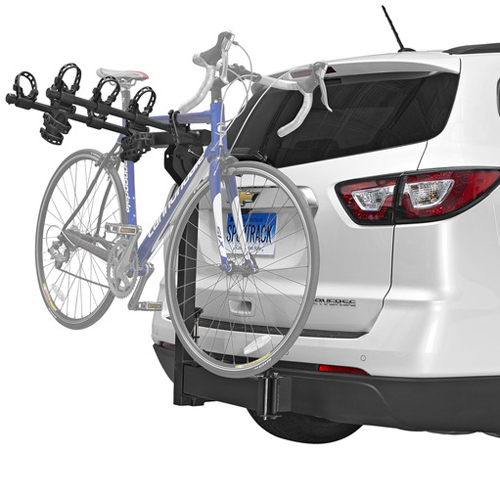 Once the mounting plate is in position behind your tire and your spare has been reinstalled, the Pathway Spare Tire can easily be installed or removed in seconds. 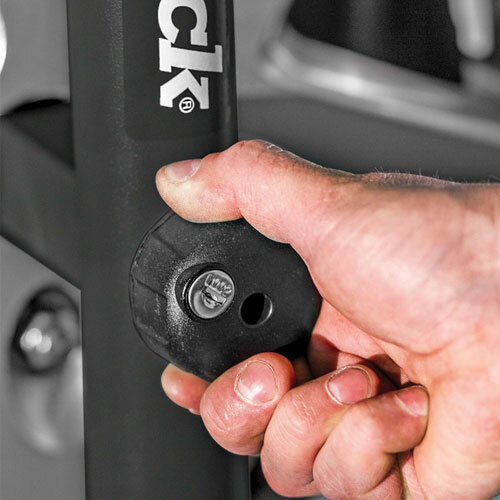 The keyed locking knob secures your Spare Tire Deluxe against theft and allows you to install or remove the rack without tools. 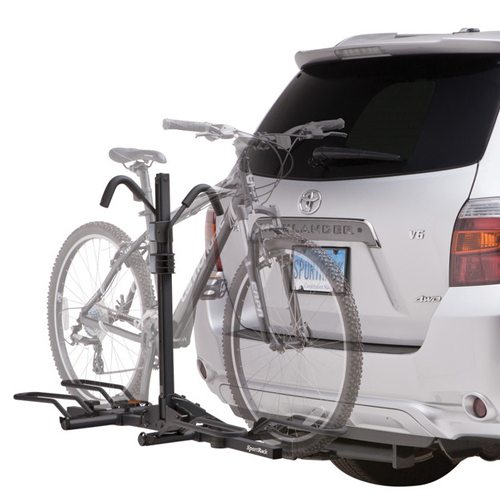 The Pathway Spare Tire Deluxe 3 is designed to transport up to 3 bikes with maximum top tubes size up 2.5 inches. 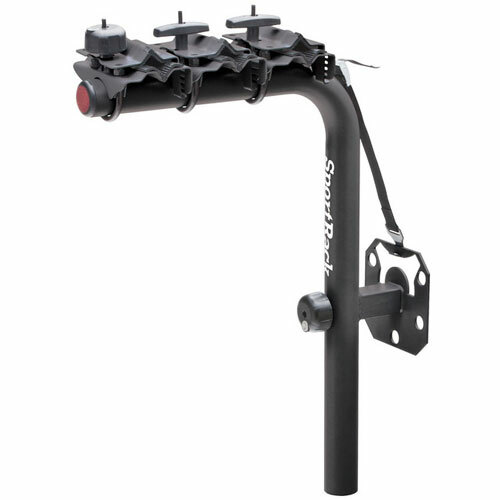 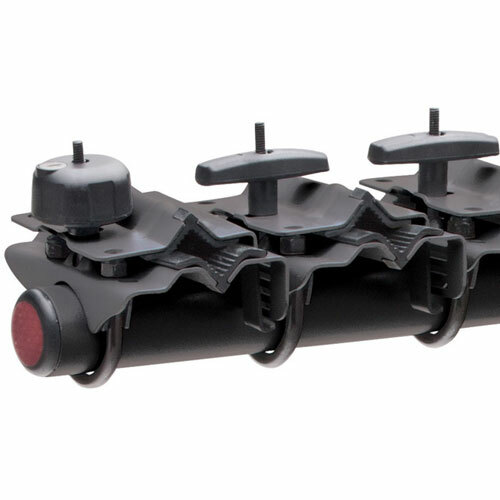 The horizontal frame tube has 3 cradle positions with padded rubber supports to help protect your bike's finish. 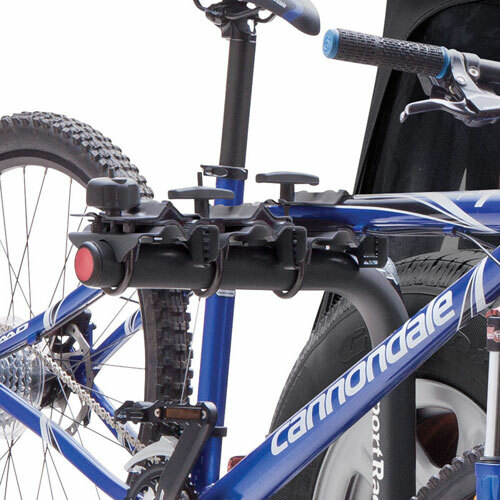 To load your bikes, place your top tubes into each cradle support. 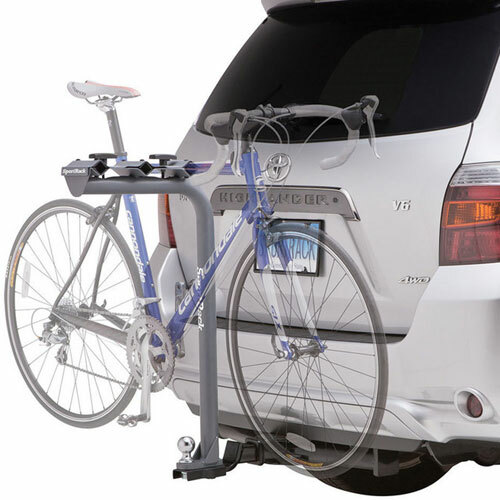 Then, secure the bikes using the included top clamp plates and knobs (no tools required). 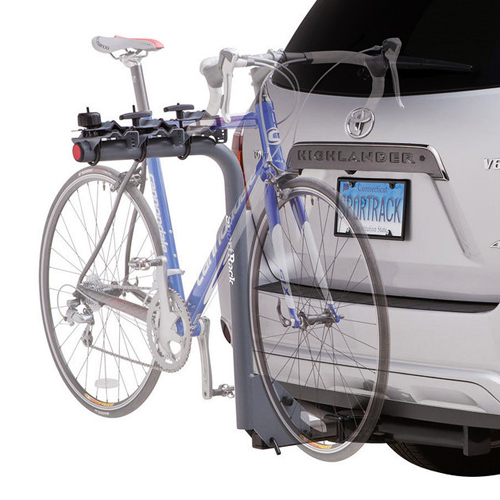 Note: Use the keyed locking knob on the outside cradle to lock all 3 bikes.